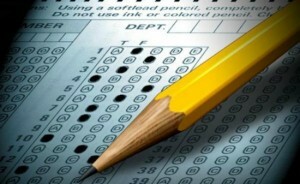 Home › FAQ › What College Entrance Exams are Most Accepted? Many students want to know what college entrance exams are most accepted before they schedule a test date. As these tests can easily cost $100 or more each time you take one, it’s no wonder that you want to know which ones colleges really require. The SAT and ACT are the two most common types of entrance exams, but the school may require or give you the option of taking other tests as well. Students wanting to know what college entrance exams are most accepted will often find that it comes down to the Scholastic Assessment Test or the test offered by American College Testing. Better known as the SAT, the Scholastic Assessment Test consists of three sections. The first section covers critical reading and asks test takers to read a short passage and answer questions about their reading. The next stage is the mathematics section, and students can use a graphing or scientific calculator. Students will also take a section on writing. A perfect score on the SAT, which is rare, is 2400 points. The examination offered by American College Testing is the ACT. Originally consisting of a number of questions that led to students to earn up to 32 points, a perfect score on the ACT I now 36. Though similar to the SAT, the ACT consists of four separate sections: mathematics, reading, science reasoning and English. Students have 35 to 60 minutes to complete each section. Students also have the option of taking a writing section. A high score on this section can make up for a lower score on the English portion of the examination. According to American College Testing, the Test of English as a Second Language is a placement test that covers four distinct topics: listening, reading, writing and grammar. Designed for students entering programs in the United States from foreign countries, you only need to take the TOESL, also known as English as a Second Language Placement Test, if English is not your native tongue. Students will read different passages and answer questions, look at different sentences to determine meanings, write a few short passages of their own and listen to phrases and topics. When searching for information on what college entrance exams are most accepted, students may want to know more about AP tests. Also known as Advanced Placement tests, these tests are available to students who attended AP classes in high school and others who want to test their skills. You must pay money to take an AP test in a specific subject, but if you receive a high enough score, some colleges will let you skip taking introductory level courses on that topic. Many colleges also have a foreign language requirement. You’ll take a foreign language test before starting classes, and if you can demonstrate proficiency, the university may let you fulfill that requirement based on your score. Entrance exams give colleges a way to test the skills and abilities that you learned in high school and how well you retained those skills. When looking at what college entrance exams are most accepted, you’ll find that schools require that students take the ACT or SAT and that there are other tests available, including AP tests and tests for foreign students.